Opening Doors is a free community leadership program for people who are passionate about making a difference in their local area. We work with people from all ages, backgrounds and abilities to reduce social isolation and work towards a more socially inclusive society. Opening Doors has supported more than 200 leaders from diverse backgrounds, skill-sets and abilities to lead lasting change in their local communities. 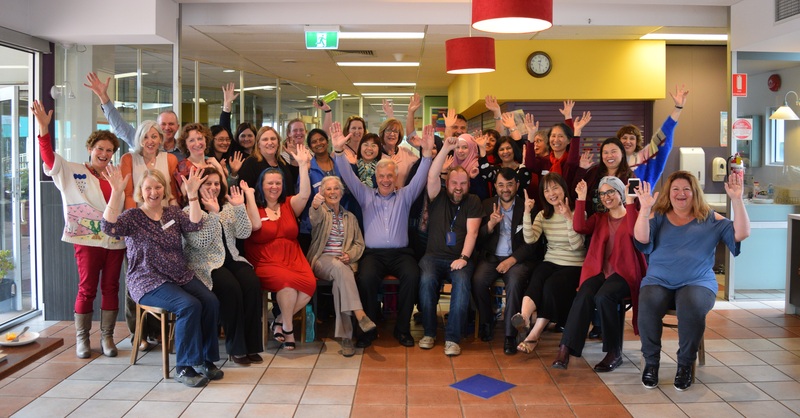 If you are passionate about social inclusion and live, work or play in Melbourne’s Inner-East, we would love to hear from you. To find out more about Opening Doors, please contact program coordinator Alex Mills on 8822 8327 / 0448 308 052 or at amills@linkhc.org.au. Held once a year, Opening Doors is provided free to 20+ community members who are passionate about working towards a more socially inclusive society. We support our participants to develop grass roots projects which celebrate the strengths and passions of their community, and engage people who may be at risk of isolation. These projects have come from a broad a range of communities and areas, including disability, mental health, refugee groups, new and emerging communities, gender equality, positive aging, problem gambling and many more.